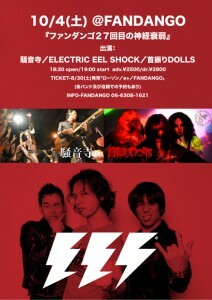 Fandango, Osaka 27th Anniversary Party !! 前の投稿EES New Online Shop is Launched!次の投稿EES will support Anvil in Tokyo, Oct 26th !!! !